What are The Benefits of Having a Portable Solar Generator? Being powerless in the dark is the last thing many people think about and prepare for. Whether it is because there is a serious power outage, a storm comes through or you are choosing to live somewhere that does not have electricity, it can cause a sudden panic if you are not able to find a light for a long period of time. Many companies have noticed this and have put portable solar generators on the market so that you and your family get to be up and running again quickly and without a lot of effort. A portable solar generator can be kept at home, in your trailer or even in your car. It can be used as an emergency power appliance. 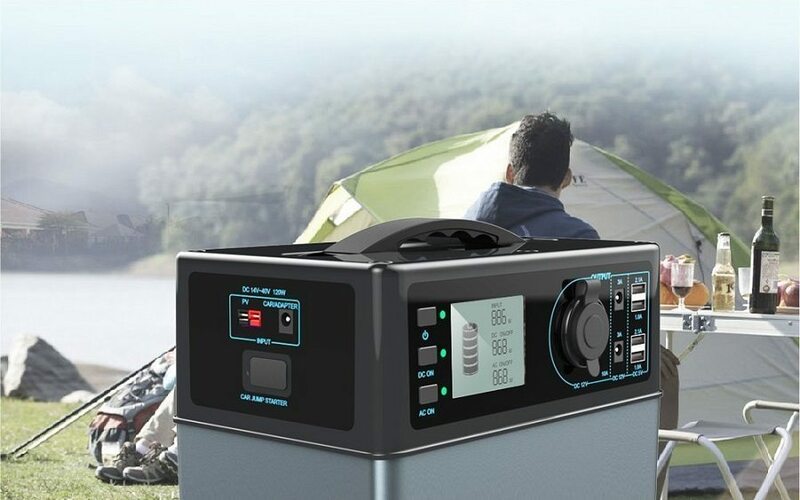 A powered portable generator can come in handy on camping trips when you are in the middle of nowhere and still want to have some of the amenities that you have at home. It has become more popular over the years to have tiny homes and homes that are mobile. These are typically solar powered too. Portable solar generators are a must for all family regardless of how they live. So, how does a solar generator work? A solar generator has three parts that are included. The generator itself, the frame and the battery charger. First, the frame is what will bring light to it. It attracts the light so that it can begin to work. It will then distribute the light to the battery so that it can be stored and used at a later date. The generator is used to power appliances that may be out or not working because of power failure. The solar panel has a lot to it. Although looking at it you simply see a panel, it actually is divided into smaller cells. There are two layers of silicone in it as well. When the light actually hits the panel, the photons create an electric field. This happens between the layers and the silicone. This is then stored in the battery and can be used for power later on. A powered portable solar panel is smaller which makes it easy to store and bring other places. Most solar panels are larger when they are for residential or commercial. A panel can also come with other features so that it connects with the sun easier. Some of these are folding up or even a kickstand. There are many reasons why people are going solar. The main obvious reason is to help the environment and go “green”. A portable solar generator is fueled by the sun, therefore, it does not harm the environment at all and is not running off gas and coal. When using a portable solar generator, there is no fossil fuel consumed. Since the sun is a free resource, the energy is also free. Although the portable solar generator has an upfront cost, it ends up paying off in the long-term since you no longer must pay for the energy you are using to power anything. It makes it possible to save money in the long run. So, after the initial purchase, there are no costs that continue. Another benefit of a portable solar generator is that you don’t hear a thing. This means that it will not be loud when it is charging in the sun or when it is charging your appliances or whatever you need to be charged. It’s quiet which makes it handy to have around. Have you ever noticed that the more parts some things have the more likely they are to break or for something to go wrong? This is the same case for portable solar generators. However, there are no moving parts. This makes it that much more reliable and it is less likely to break and more likely to work perfectly. When it comes to batteries there are two benefits to it. Firstly, the batteries provide power when the sun isn’t shining. This means that it will still work correctly if you happen to not have sun or your solar bank is empty. Secondly, when using sealed batteries, the generator requires does not require any maintenance. It’s that easy! One of the biggest misconceptions about portable solar generators is that they are not able to be used when it is cloudy or rainy. This is not true at all. The generator will store power on days when it is sunny. If you live in a climate that gets less sun, you will be able to use the device in all types of weather. If you live in an area where you do get much sun at all a lot of the year, a portable solar generator may not be your best option. Even on days when it is cloudy, the sun may be peaking through at times. As long as your panel is out and pointing at the sky, it should still bank some power. You may be wondering exactly how much energy the generator can provide. This answer can be a little tricky. The amount of electricity a solar panel can provide requires three questions being answered. Firstly, the efficiency of the panel. Secondly, the size of the solar panel. Thirdly, the exposure to the sun. If it’s a sunny day you will have more solar energy. If the solar panel is large, this will also increase the amount of sunlight it is able to see. We recommend looking for a panel that can easily be adjusted so that you can receive the optimal explore to the sun. Since the size varies, it’s important to speak with an expert so that you can explain exactly why you want a portable solar generator. This will help them decide which option would be best for your needs. As you can see, having a portable solar generator can come in handy for almost every person. It’s a great and small item to keep in the closet in case the weather is not on your side. If you are an outdoors person, it’s an even bigger reason to have a portable solar generator with you. If you have any questions about portable solar generators, we would love to help answer them. Contact us today to learn more!